OligoScan: The revolutionary method to detect directly in the office and in real-time, the bioavailability of trace elements and heavy metal intoxication. 99% of the American people are deficient in minerals, and a marked deficiency in any of these important minerals may result in disease. Out physical well-being is more directly dependent upon the minerals we take into our systems than upon calories or vitamins, or upon precise proportions of starch, protein or carbohydrates we consume. Chronic low energy, aches, pains, recurrent colds, moodiness and sleep disturbance are common signs of unwellness and doctors often find normal blood tests. Elderly Americans are especially vulnerable to mineral deficiencies. One study showed that 85% of nursing home residents are malnourished and depleted in key minerals and vitamins. 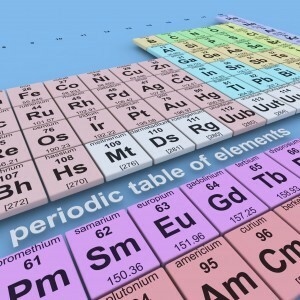 Now there is a revolutionary new diagnostic tool for quickly assessing essential minerals and toxic heavy metals, such as mercury, lead and aluminum. The OligoScan spectrophotometric technology offers a quick and precise analysis of the trace elements and heavy metals in the tissues of the body. The measurement is made directly in the office with a portable spectrophotometer device approved by OligoScan. The collected data from the patient is sent to the secure central Oligoscan server within a few clicks. And within 20 seconds, you get the results back. This test measures the minerals in the tissues of the body and provides immediate results. There is no wait for expensive blood or urine tests that may take weeks to come back. The test allows you to know the most efficient supplementation that would maximize the nutritional benefits for mind and body. In case of heavy metal toxicity, you can use detoxification techniques, supplements and/or lifestyle changes. And, efficient mobilization is easily discernible with the Oligoscan. The data is invaluable and allows for precise treatment and prevention, which can be monitored over time. Test results show mineral status, key mineral ratios, heavy metal levels, mobilization of those metals and overall oxidative stress. The negative health impact of heavy metals is demonstrated by numerous studies published by research institutes, WHO, FAO and other organizations. The elimination of these toxic metals from the body is a major challenge. 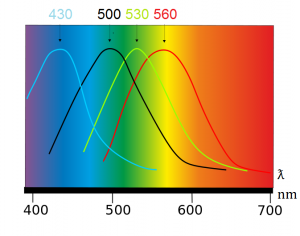 Concerning the measuring method of OligoScan, the spectrophotometry is used in numerous scientific and industrial processes. Comparative studies of the OligoScan test results with traditional biological analysis show a correlation in the expected standards.